It seems like thing is moving naturally toward downwards. However, for the table header under Windows, the thing I saw is, they are mostly using up arrow. Hence, I was wondering, which symbol is more suitable? up arrow or down arrow? From http://www.iconfinder.com/search/?q=ascending, I can see they mostly use up arrow. But, from end user point of view, if I saw a up arrow at table header, I would thought the largest value (says z) nearest to the top table, and smallest value (says a) at the bottom of table. v. as·cend·ed, as·cend·ing, as·cends v.intr. To go or move upward; rise. See Synonyms at rise. To rise from a lower level or station; advance: ascended from poverty to great wealth; ascend to the throne. To go back in time or upward in genealogical succession. Hence, the Microsoft Windows version is right in this sense. Ascending should be upwards. In the case of the alphabet, you have to think of it in this sense; A is the beginning of the alphabet and Z is the end. You increase as you move from beginning to end. Same as you do with numbers. 1 through infinity. 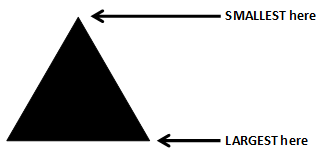 An up arrow (upward triangle) is literally smallest at the top, and largest at the bottom! Exactly like Ascending order!! 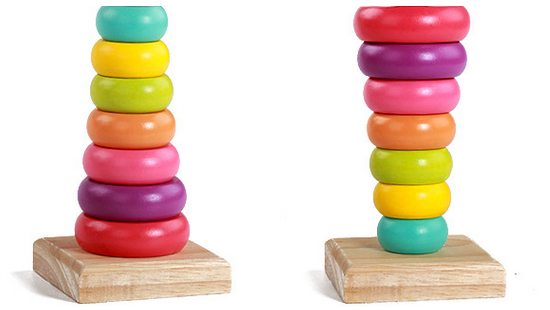 This ring-stack children's toy helps understand how ascending order came to be abstracted to an upward triangle, and descending order to a downward one. The early 'stacked' up-arrow is visible in the screenshot from Mac OS 8 (circa 1997) in devios1's answer. I think the confusion exists because it is not clear if the column header symbol shows the criterion that is currently used for sorting, or acts like a button that will sort according to the symbol when clicked. Is the column that is clicked on for sorting a button (where we would expect the 'future' sorting criterion)? Or is it rather a label (where we would expect the 'current' sorting criterion) with the additional functionality that it can be clicked to toggle sorting criteria? I agree with @SNag on this one in that the sort indicator is not, in actuality, an arrow at all, but rather a visual indicator of the way the list is sorted. I find the analogy to less-than (<) and greater-than (>) to be more appropriate than that of an arrow. 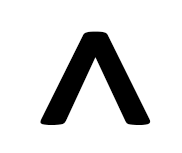 As such, one might consider using a less-than symbol or chevron turned sideways as a more intuitively understandable symbol to represent the order. It works intuitively for text (abc < xyz), numbers (3 < 6), and dates (today > yesterday). So in short, try not thinking of it as an arrow pointing in a direction and think of it as a symbol representing order, just like less-than and greater-than. Update: It turns out, coincidentally enough, that the latest version of Mac OS X actually does use a vertical chevron just like I had suggested. I did not realize this when I originally posted the idea. So there you have it. There is some precedent after all. In my opinion, the fact that it is an arrow, a triangle or a chevron is more up to design. The important fact it is the symbol is the same for all pages and not used for another usage. textual description ('(A-Z)' for ascending and '(Z-A)' for descending). It would be much simpler to understand if you consider "Where will the first row/element appear?". If it is on the top, the arrow represents that well. For alphabetic data, I think it has always been a mistake to apply the idea of 'ascending' and 'descending', after all the alphabet is just an arbitrary ordering of the letters. For numeric or datetime data, switching between sorting ascending and descending makes a lot more sense and is actually useful. Why do people sort a table or list based on the alphabet? The answer is usually to aid the user as they laboriously scroll and scan through the list looking for the item that they are interested in. Reverse sorting alphabetically does not make this process any easier. 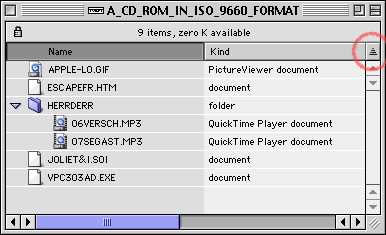 If you reverse sort Z-A, why would you want the 'Z' items at top? Alternative solutions such as search and filter are much more useful. So my answer would be not to use an arrow, disable the toggle between A-Z/Z-A on that column, and instead just always sort A-Z any time that column heading is clicked. Not the answer you're looking for? Browse other questions tagged gui-design icons user-expectation or ask your own question. I want to let the user toggle a column heading to sort a grid by a date field. How can I make ASC/DSC intuitive? How do I represent the direction (ascending or descending) for setting a range?